SCMS 2014 is tipped to get even better and more exciting. The routes are revised to imrpove every runners running experience. 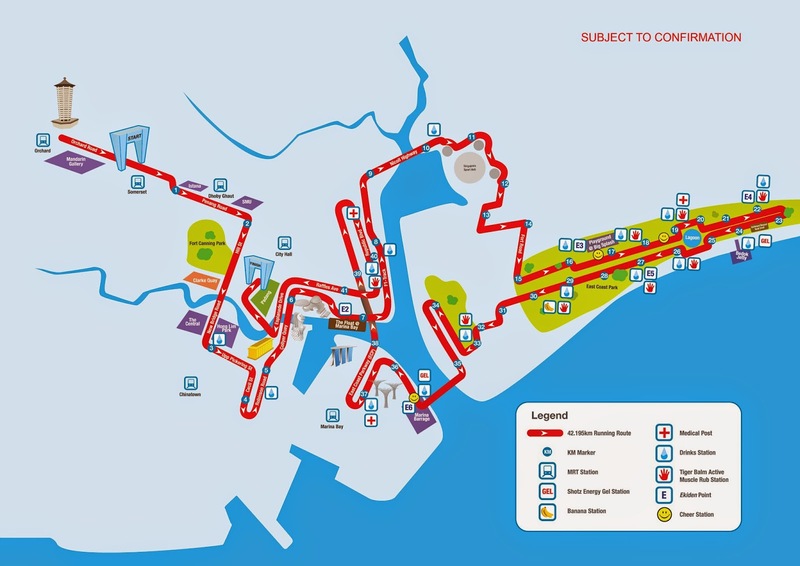 The new routes will reduce congestion at the merging point of various categories. 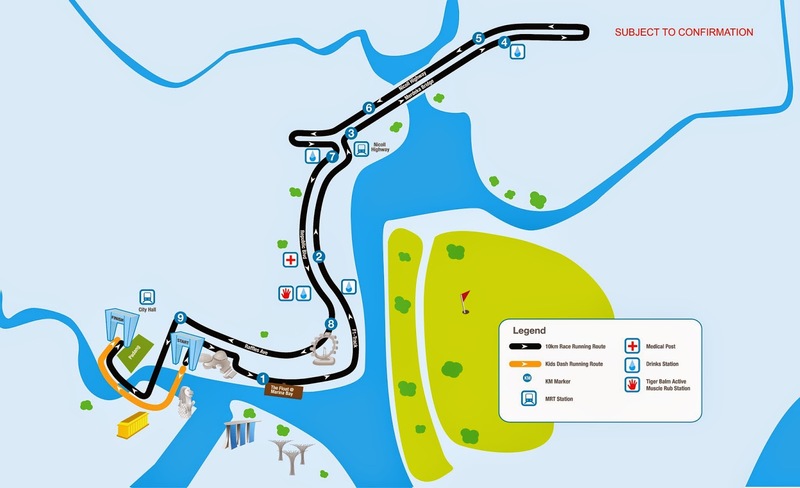 • At approximately 18km along the Half Marathon route, runners will get off the Marina Coastal Expressway (MCE) via the exit ramp leading to Maxwell Road. They will then make their way through the Central Business District via Robinson Road - Collyer Quay – Anderson Bridge, to finish at the Padang. 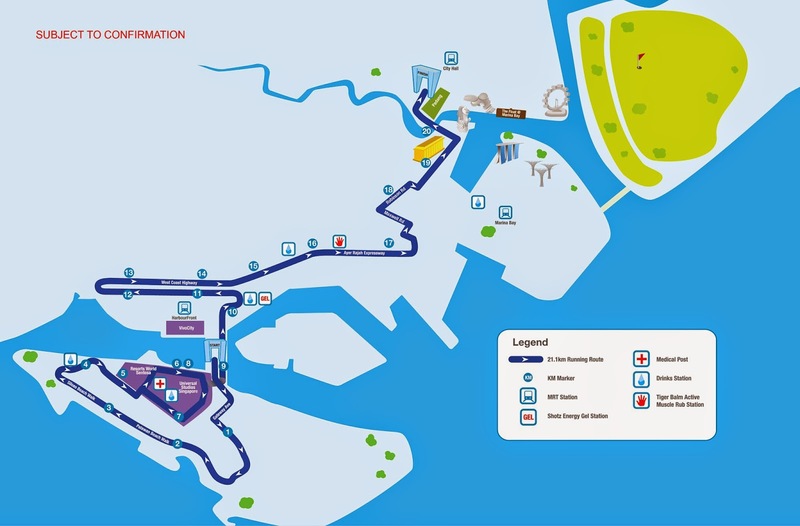 This revised running route effectively separates the Half Marathon participants (more than 12,000 runners) from the Marathon and 10km runners, thereby significantly reducing the 3km congestion traditionally experienced in previous years. 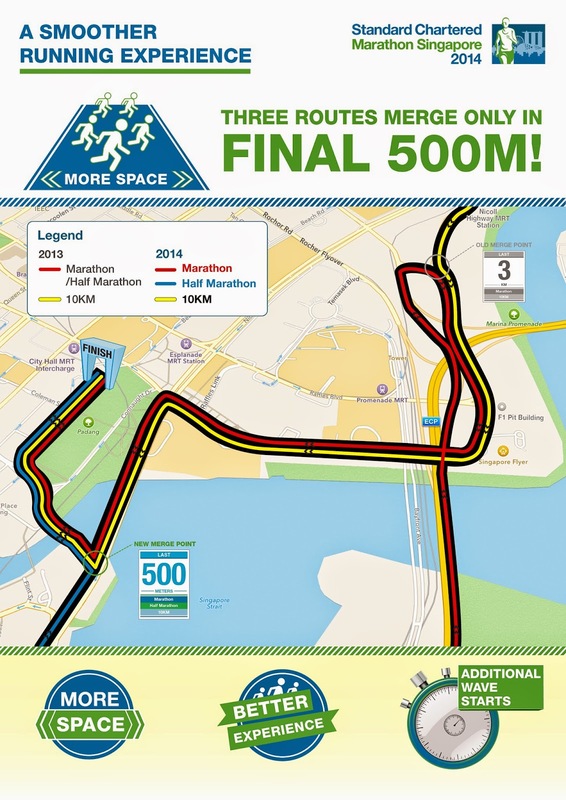 • This also enables the Marathon and 10km participants to enjoy a clearer path along the Republic Boulevard - Raffles Ave – Esplanade Drive stretch – until the final 500m, where the runners of all three distance categories will merge just before Anderson Bridge, for their final journey to the finish line. • Similar to previous editions, all categories will have wave starts to minimise crowding within the first few kilometres. • Marathon participants will also be happy to note that with the revised route, they will have the opportunity to run very close to and take in the magnificent sights around the Sports Hub. • Registrations remain open for all categories until midnight on 31 October 2014. Late entries will still be accepted after this date but participants will pay a $20 late fee and will not receive a personalised race bib. For all SCMS 2014 registration details please visit www.marathonsingapore.com. The 10km runners will be able to run with Haile Gebrselassie, the man widely regarded as the greatest ever long distance runner. Haile will be participating in this year’s Standard Chartered Marathon Singapore and lining up alongside thousands of runners in the 10km race category. There are close to 13,000 participants have already signed up for the 10km and will now enjoy the amazing opportunity to run in the same race as the man who once covered the distance in a stunning 26mins 22secs! Gebrselassie will also host a number of training clinics while he is in town, with local runners set to benefit from the extensive knowledge of the man who set an astonishing 27 world records throughout his illustrious career. The specific details of the clinics, as well as several other public appearances, will be announced by the event organisers in the coming weeks. A favourite name at home is Cape Mentelle. 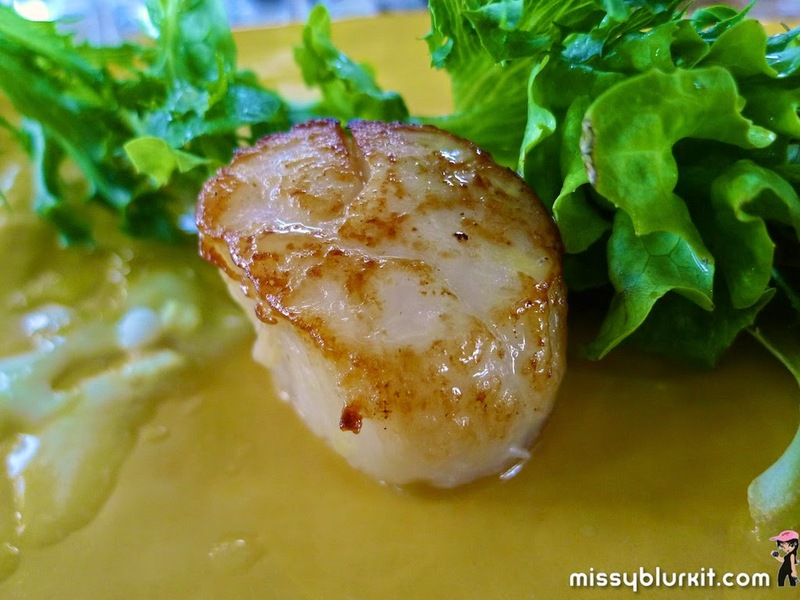 This probably stemmed from my fond memeories of the Cape Mentelle Sauvignon Blanc Semillon 2012 which I won in the last Cape Mentelle dinner last year at Neo Tamarind. 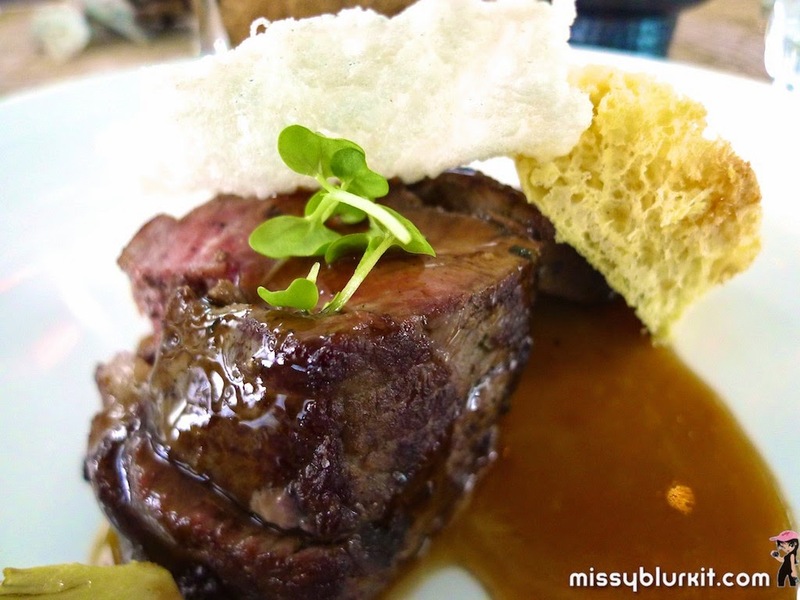 A recent degustation lunch at Tanzini deepens my joy with this affordable and delicious name for Cape Mentelle. Happening until 5th December 2014, Cape Mentelle in collaboration with Tanzini will feature a pairing promotion comprising of a 4-course degustation menu for RM400++ for two persons and each course will be paired with a bottle of Cape Mentelle Chardonnay. 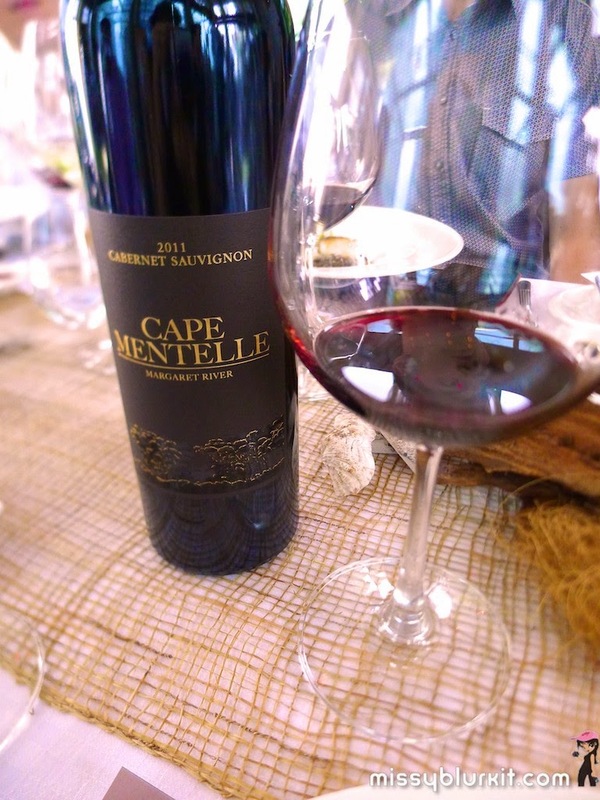 And if you like what you ahd, why not check out the rest of Cape Mentelle impressive portfolio? 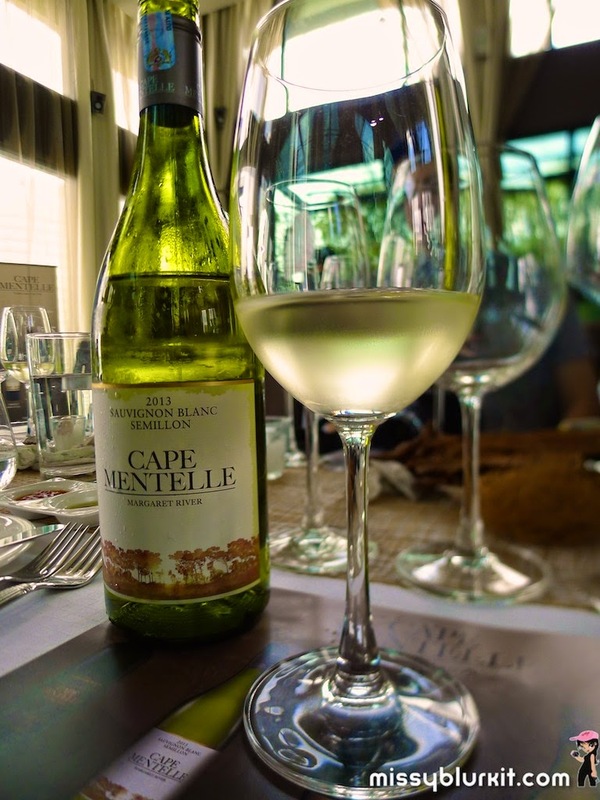 The afternoon kicks off with us mingling and sipping a refreshing glass of Cape Mentelle 2013 Sauvignon Blanc Semillon. A lovely start I must say with our crazy hot spells. In our company we have Cameron Murphy who is the Estate Director of Cape Mentelle Vineyards. It was delightful hearing him sharing his knowledge of the vineyard and the wines. Cape Mentelle 2013 Sauvignon Blanc Semillon is fruity and fresh. Light and crisp with an intense citrusy aroma, it also made a perfect pairing with our first dish of seared Hokkaido Scallops. 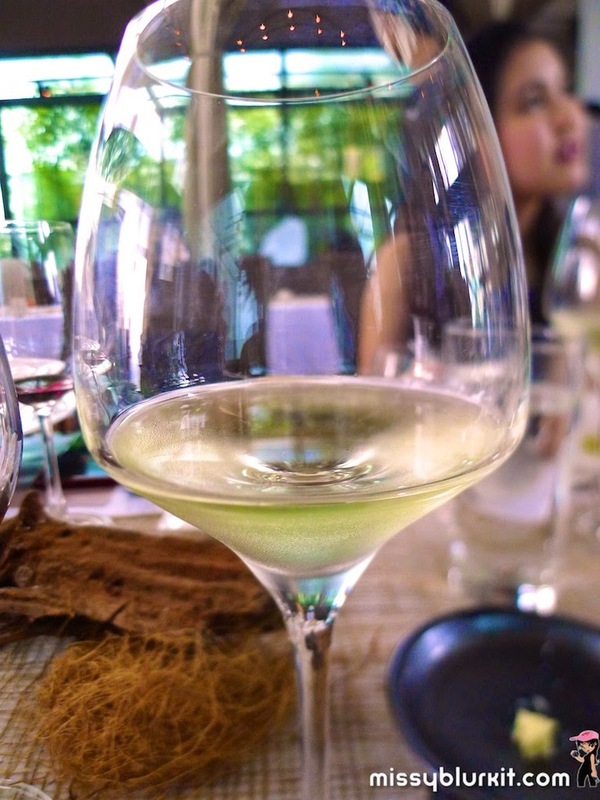 Rather than being a pure 50% – 50% blend of Sauvignon Blanc and Semillion variants with 5 to 10% of the Semilion being barrel fermented to enhanced flavours. 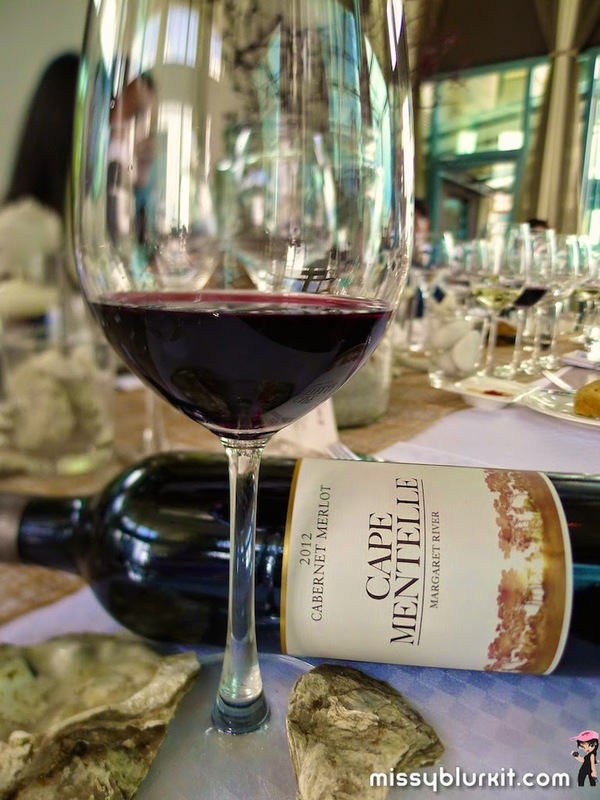 Next on our list is Cape Mentelle Carbenet Merlot 2012. I rediscovered my love for red wines after the previous Cape Mentelle pairing dinner and these days am making a request for more reds than whites. Inspired by the fine reds of Bordeaux, this is a fine blend of 63% cabernet sauvignon, 30% merlot, 5% petit Verdot and 2% cabernet franc. The unmistaken nose of dark fruits. Medium bodied and velvety with a lovely lingering flavours of sweet currants. 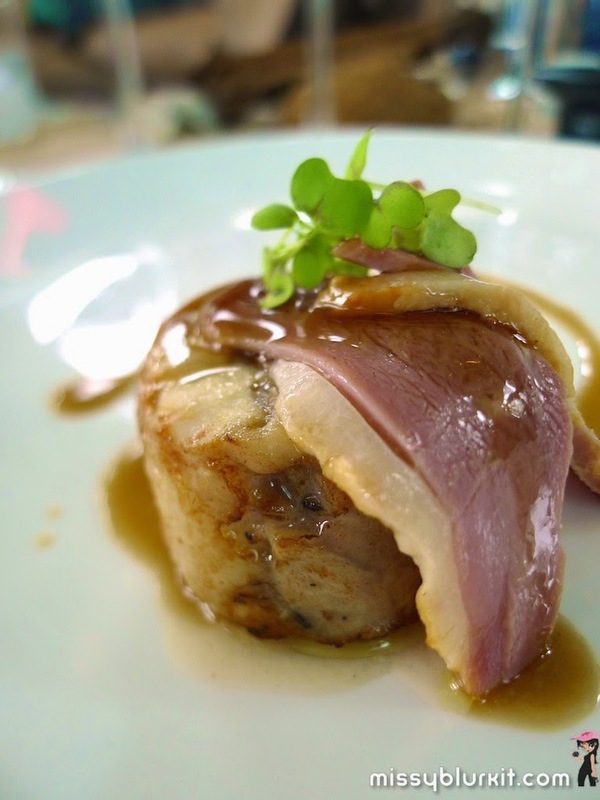 It was definitely the right match with the Free Range Chicken Roulade and Cured Smoked Duck. A pretty dish with a nice balance of textures and bite of chestnuts and pistachios. I am a bit at a lost with the piece of meat. Its aged so its fair to be served medium rare. Unfortunately mine turned out to be a case of bordering medium. Picture is from a friendly neighbour who offered me her plate for picture purposes:D Its tasty nevertheless . For those who prefer fish, there is the option of the Atlantic Black Cod that is paired with the Cape Mentelle Chardonnay 2012. 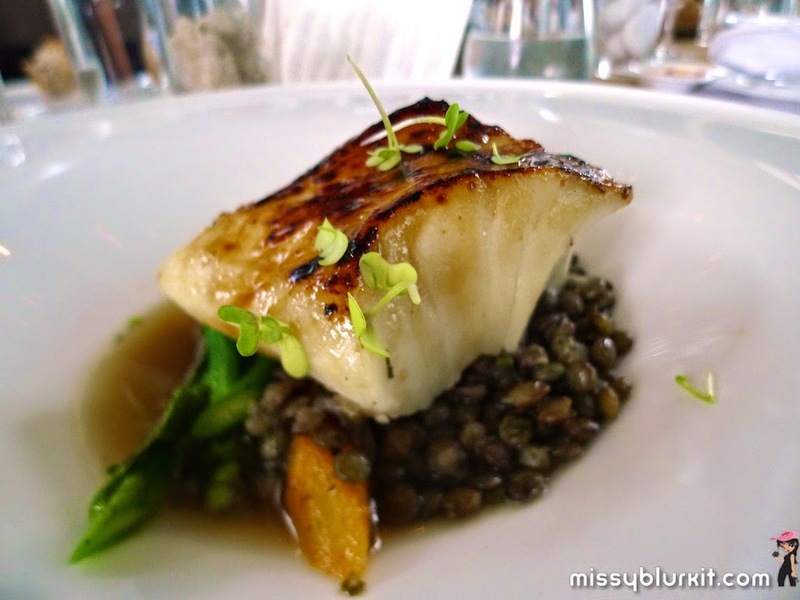 Again, a kind media pal offered me a huge chunk of the delightful creamy piece of cod. The Chardonnay is definitely a brilliant bottle and I reckon most of us were actually drinking only this when we ended our meal. Bright, fruity with a happy nose of citrus, sweet pears and vanilla that definitely goes well with many folks especially the ladies. Dessert is always fun. 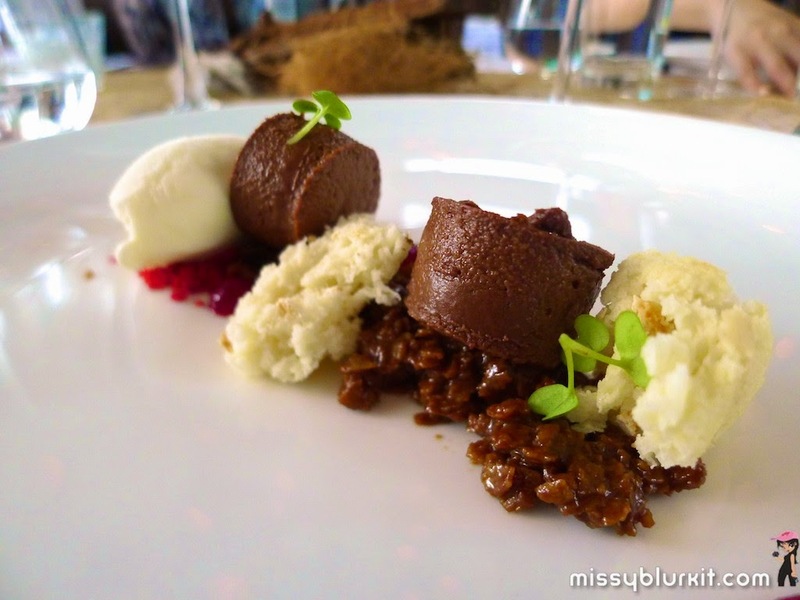 Dessert is always good and I am a firm believer that desserts must be present in every meal no matter how big or small or grand a meal is. 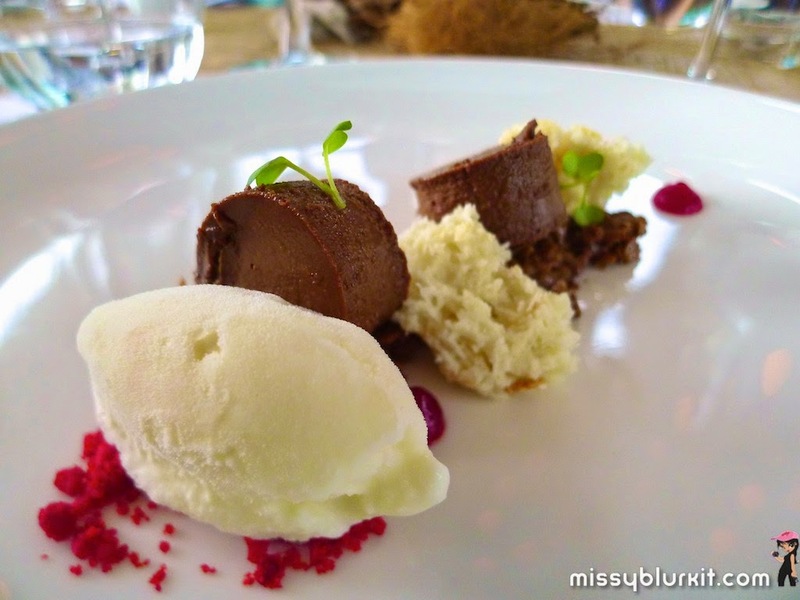 The folks at Tanzini definitely did a brilliant job with the Praline Chocolate Mousse with Crunchy Croquantine Hazelnut Daquoise, Cherry Gel and Light Lemongrass Gelato. 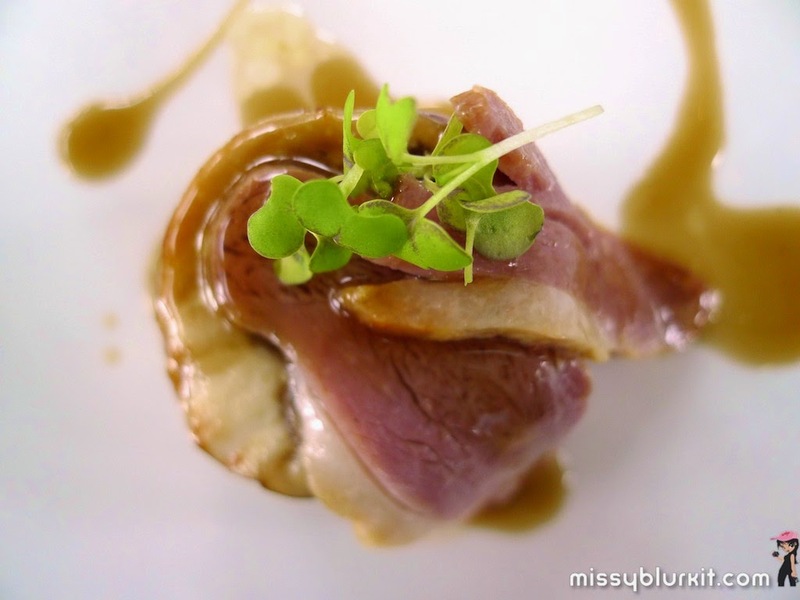 Perfectly paired again with Cape Mentelle Chardonnay 2012. Love the above? Head on to Tanzini for the 4-course degustation meal priced at RM400++ for 2 persons which I feel is a good value for money. Both Cameron Murphy and Chef Eugene Lee did a good job with the menu and pairing. Hurry, hurry...this deal goes on till 5th December 2014. 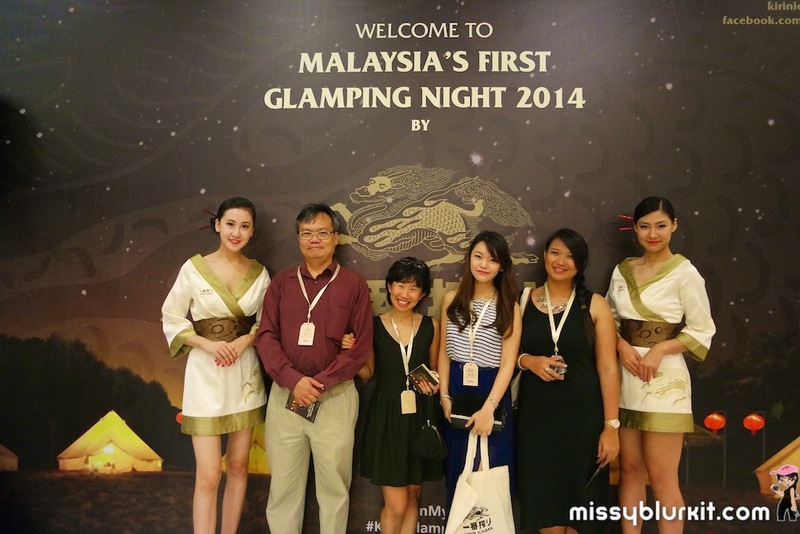 Experienced my first glamping thanx to the folks at Kirin Ichiban who organised Malaysia’s first Glamping Night 2014. 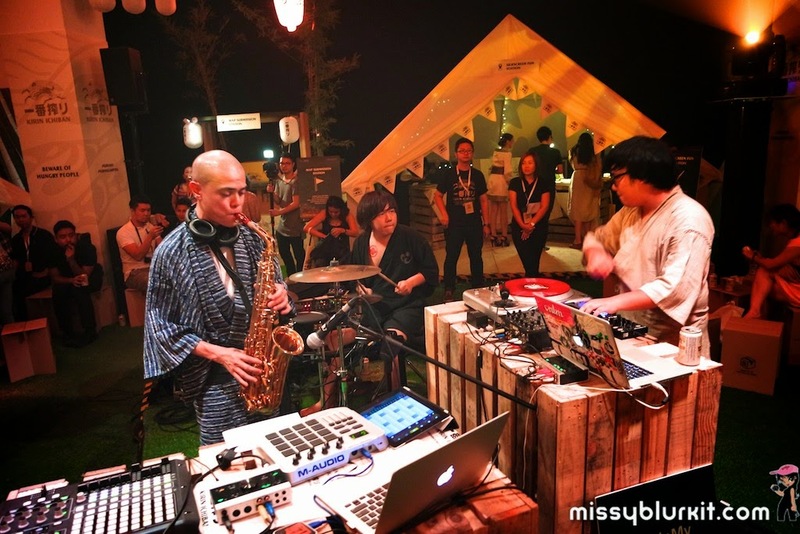 Its an evening of fun with guests indulging in a unique experience of camping, Japan and lots of good fun. It kicks off with a lovely invitation card that we did some origami works at home. As soon as we arrived at the venue, its a series of Japanese inspired activities that awaits us. Its a mini challenge whereby we complete our task before we are in the running for a super prize of a trip to Japan for two. 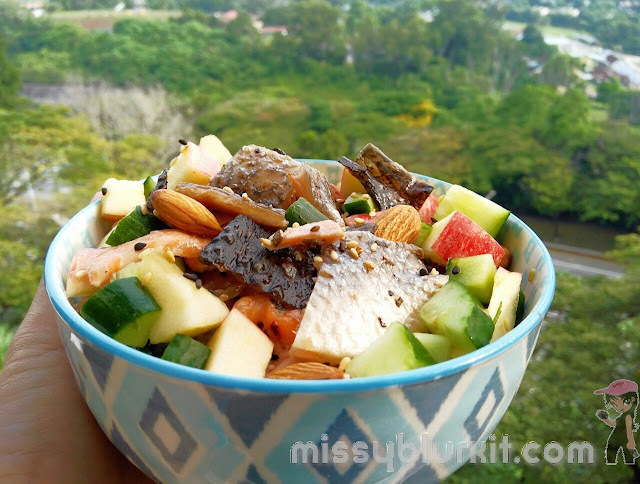 The tasks at hand were super fun and one of the task at hand also requires us to have a delicious bento meal. Painted my very first lantern. 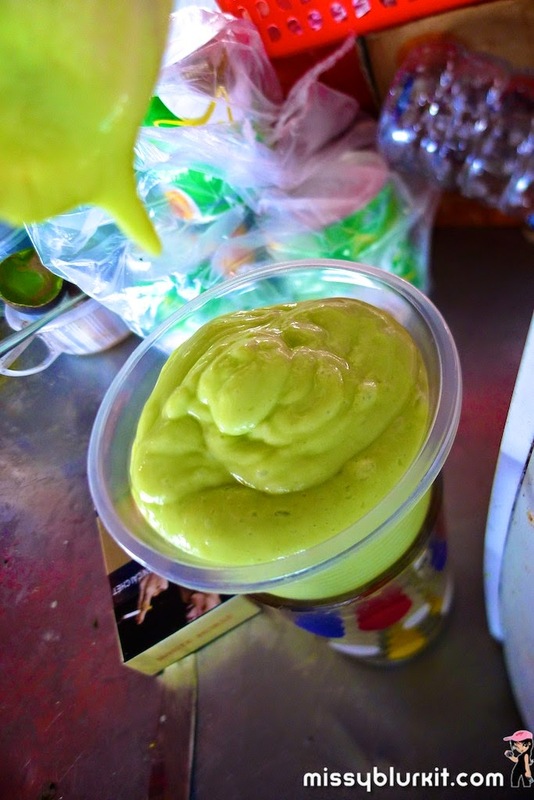 I certainly wouldn't mind trying my hands on this fun activity again. 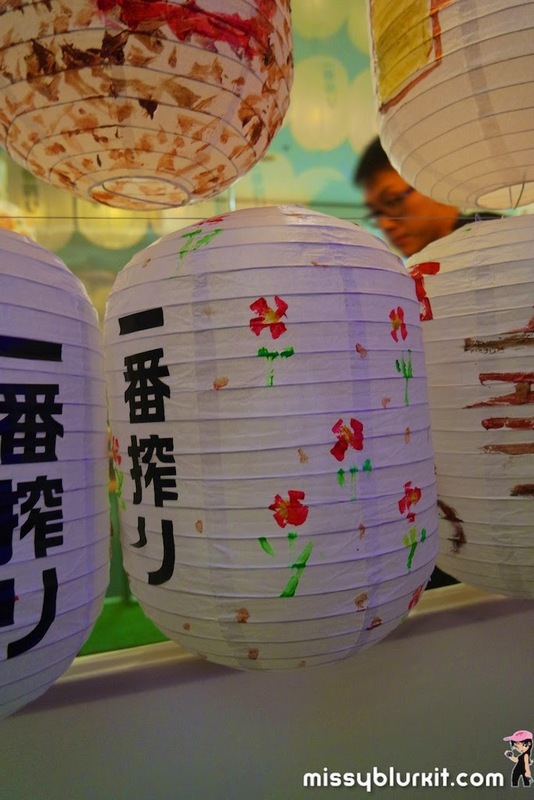 Not too shabby work...and my master piece hung along with the other lanterns to enhance the Japanese mood at our glamping site. 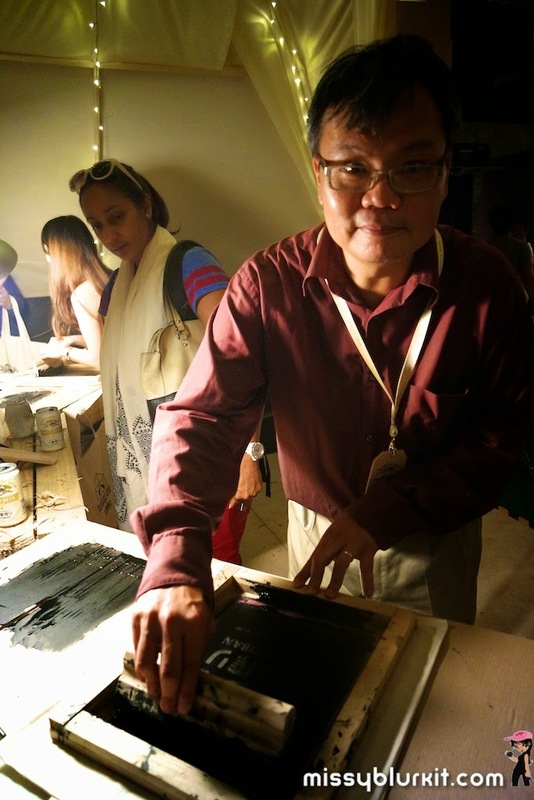 Another task was to silkscreen our own bags! Not quite an easy task as one has to be strong and consistent in the pressure we applied. The hubster did a good job because he has done plenty of it during his school days at MIA. Grab a bento box and fill it up with all your favourite food. And that's definitely a delicious task that I have no complain whatsoever. Completed my task and I continued the night with a good bunch of sporting pals. It was lots of fun with the well selected entertainment. Needless to say I think the bunch of us certainly made lots of noise too during the entertainment. We sung and dance. 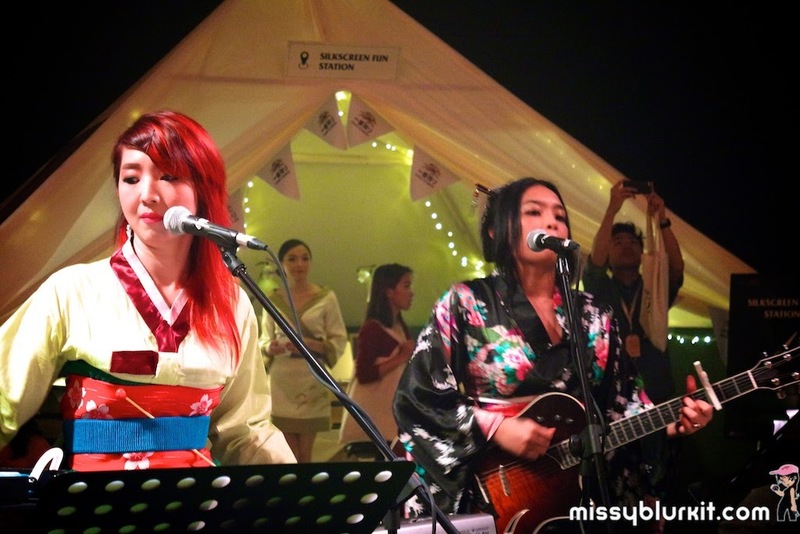 Hey its glamping! No point sitting down pretty...its all about getting on our feet and enjoy the evening with a free flow of nicely chilled Kirin beer and keep our toes, eyes, fingers crossed that one of us would walk home with price of a 5 days 3 nights trip to Japan! Well someone went home with the Grand Prize and it wasn't the bunch of us noisy rascals:D Congras Clione Sia. Do enjoy your 5 days 3 nights trip to Japan. 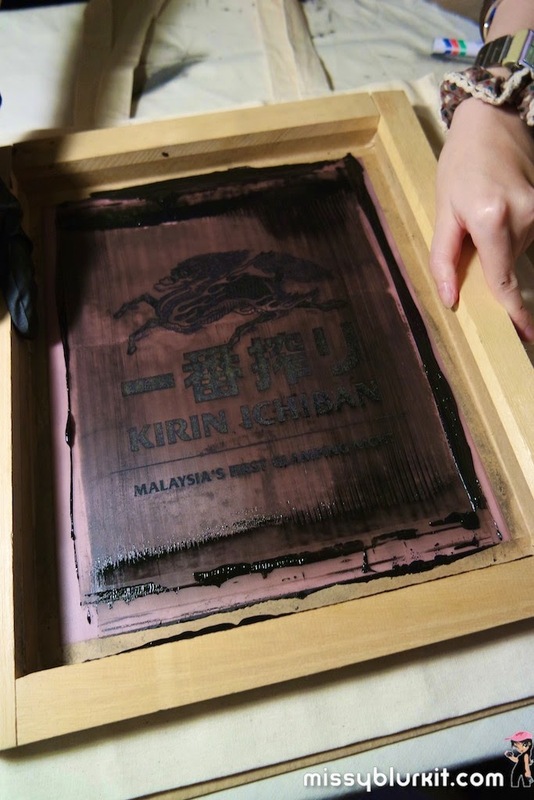 Kirin Ichiban aims to bring the best of Japan’s experiences to consumers. 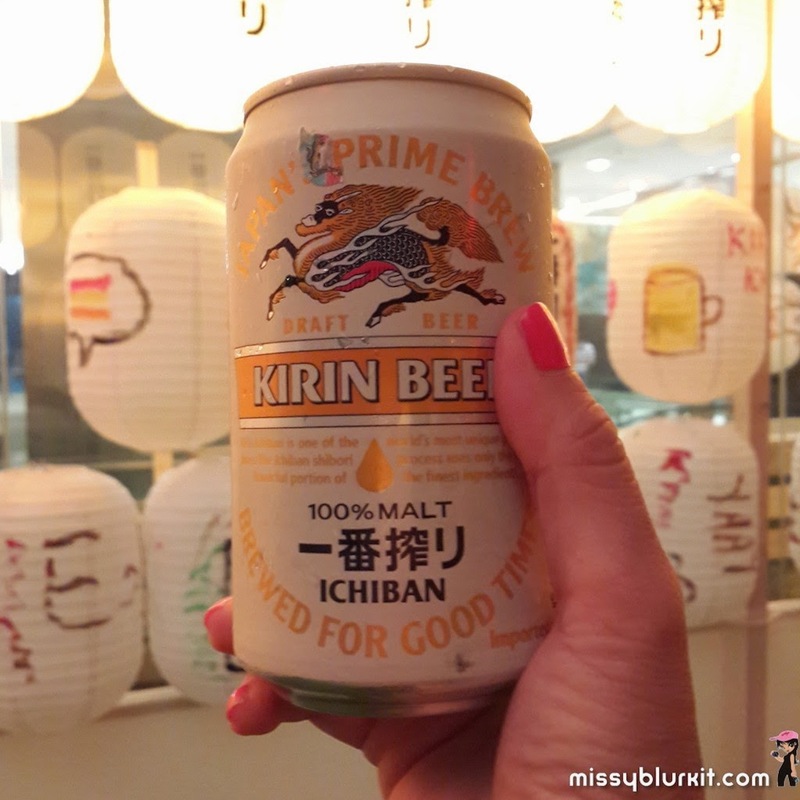 For your chance to to win a trip to Japan that includes an exclusive tour of the Kirin Brewery and annual Chichibu festival you have until mid November 2014 to purchase any Kirin Ichiban from on-trade establishments and off-trade stores (supermarkets and convenience stores), receive a scratch card for your opportunity to win a prize of a lifetime! Good luck folks! 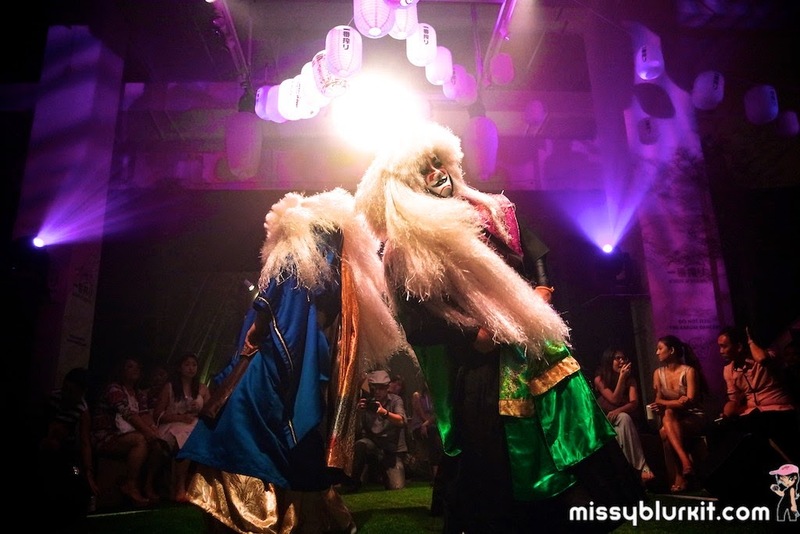 Do follow Kirin Ichiban on Facebook for more updates! PS: In case you are wondering why aren't we dressed in the usual camping gears...for Glamping, its all about glamour and camping. We get to dress up in dresses and of course wear comfy shoes:D I had a black dress and Converse sneakers. Hehehe. 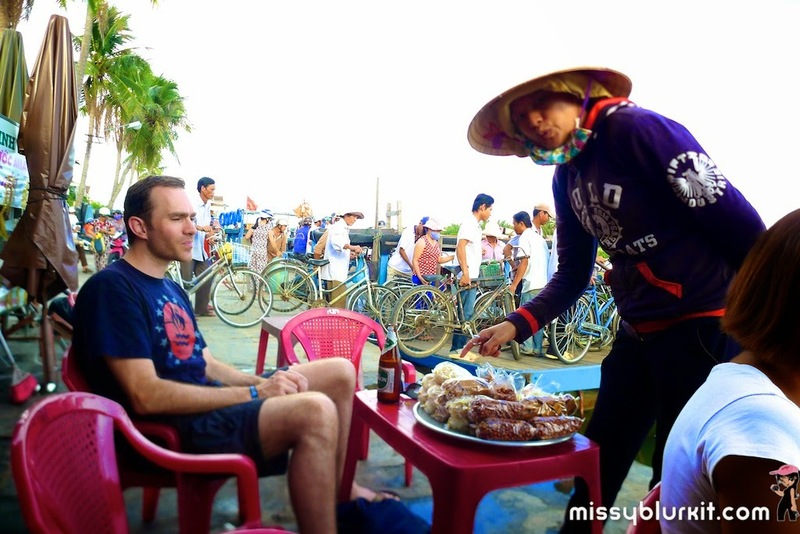 A road trip after the Da Nang International Marathon in Vietnam was a definite must. Thankfully the rain stopped that we managed to explore a little bit of Hoi An the ancient city. The weather's sunny, a tad hot and making a coffee stop after a walk a necessity. 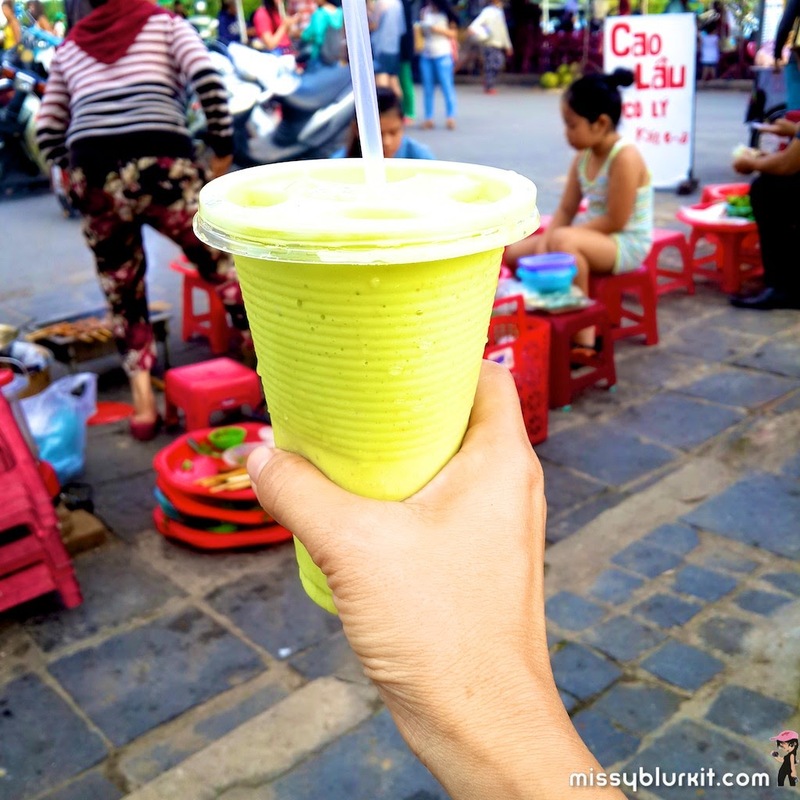 Since we were at the Central Market, we took the opportunity to check out the Best Coffee in Hoi An. Well at least that's what the lady boss proclaimed to my pals ZhuZhu and Kenny when they were in Hoi An the week before. Its a stall by the river side. No fancy looking decors but it sure is nice and cozy with a good view of the river and the street. We settled down by the river. Lady boss takes our orders. 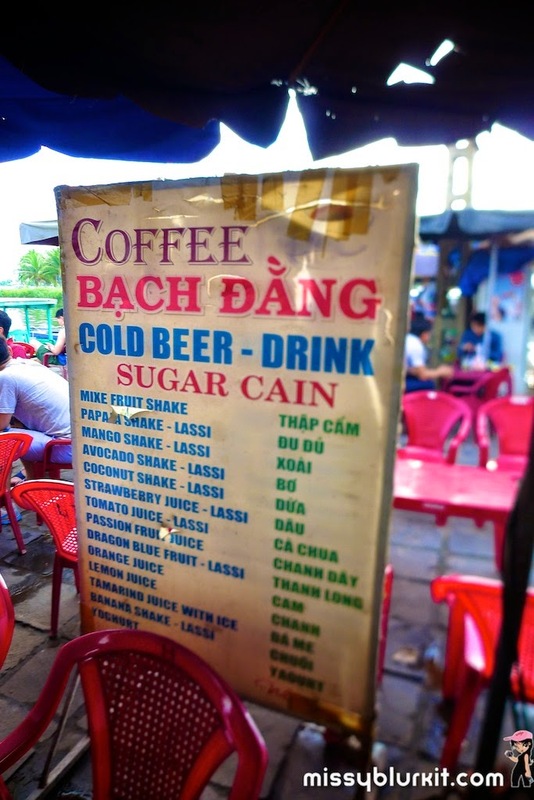 Basic English since my Vietnamese is only limited to the word cảm ơn (Thank You) but its all fine because our coffees arrive within minutes. 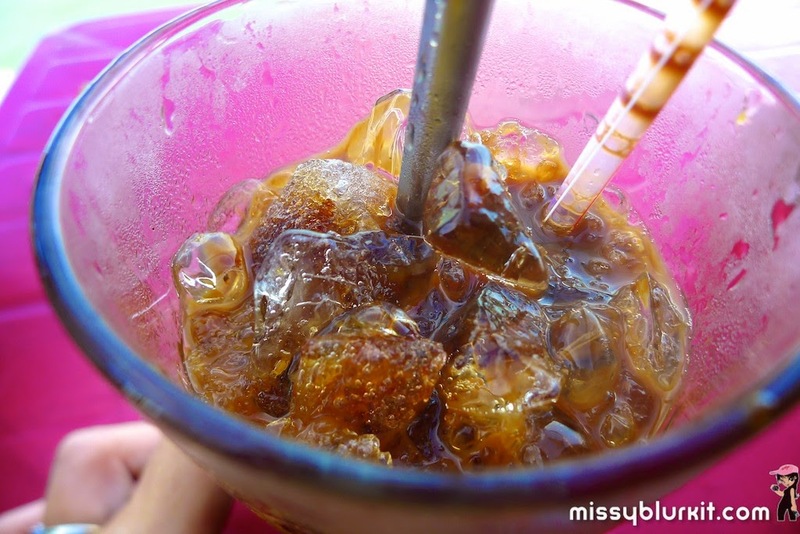 Perfect for the hot Hoi An afternoon. Plenty of ice in each glass but we are not dealing with a diluted glass of coffee. Its thick, dense and sweet with bitter nuances of a cup of Robusta. We did have a look at how it was made. 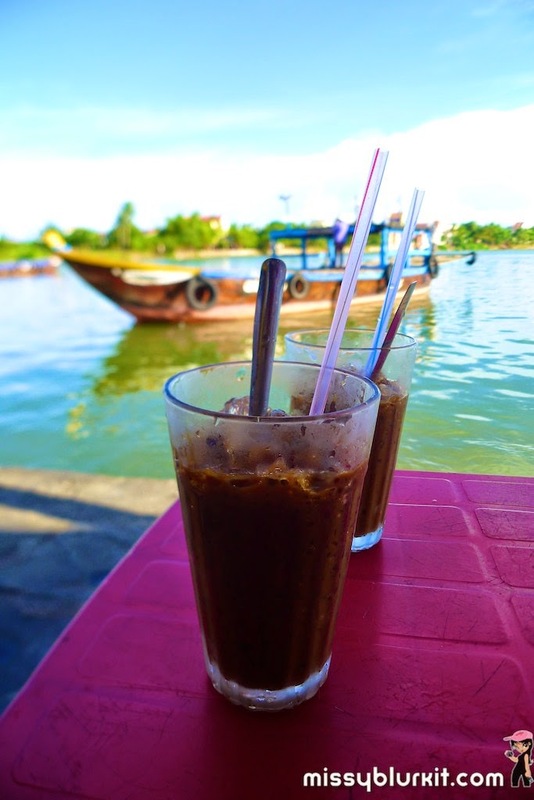 Vietnamese drip coffee, condensed milk and coffee syrup resulting in a glass of satisfying coffee as we watched the world pass by. 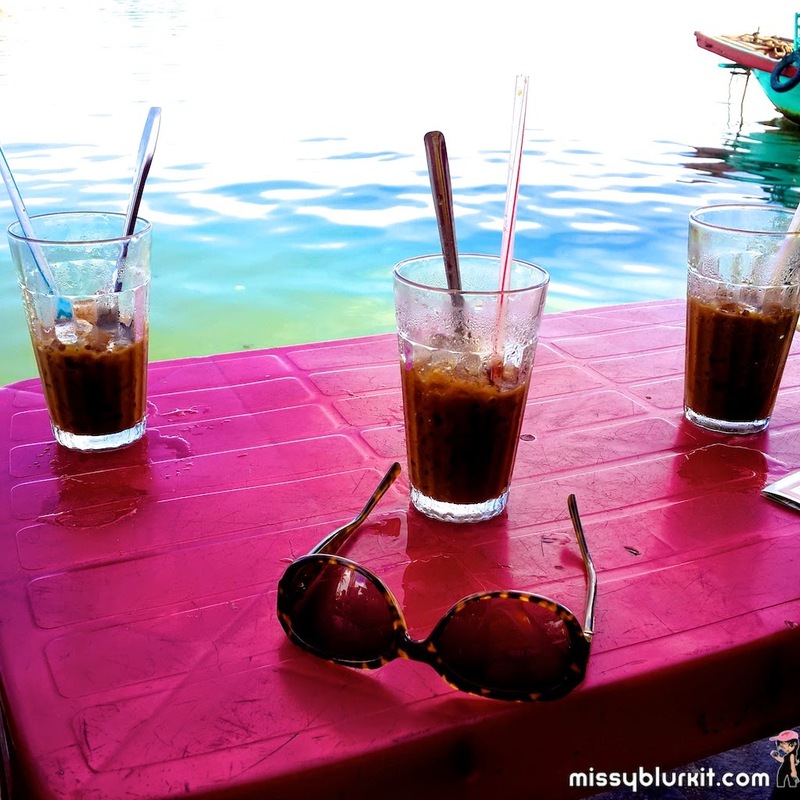 It was certainly a good glass of coffee and I am definitely agreeing with lady boss that her stall has the Best Coffee in Hoi An! The stall also serves beer, soft drinks, juices and smoothies. 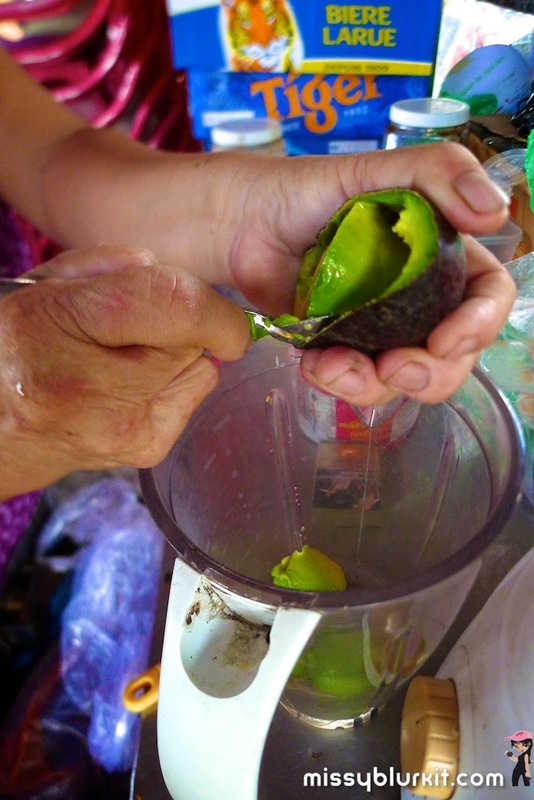 Had my first avocado smoothie in Ho Chi Minh City many years back and am totally smitten with the mixture of ice, avocado and condensed milk. Thick, tasty and definitely vey filling! Its a wonderful experience to just chill over a glass or more coffees. 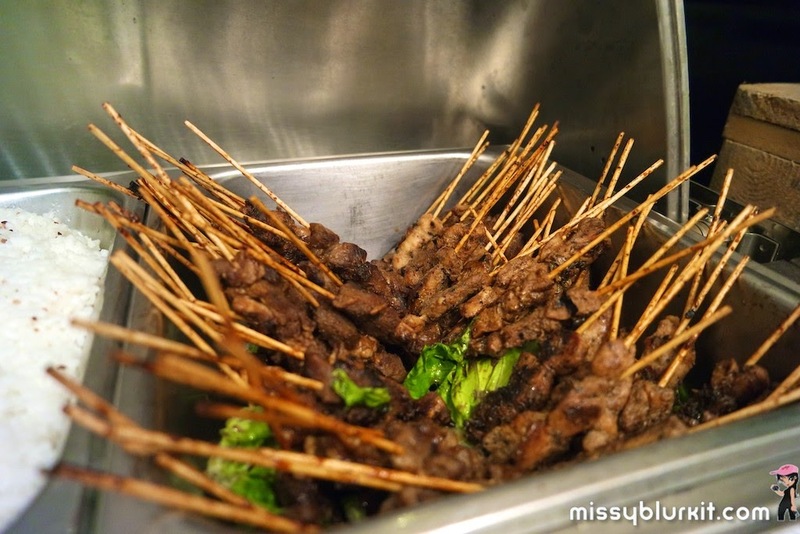 And in between, some locals might just stop by to offer you some tidbits that you can try for "free". Well no harm in trying. 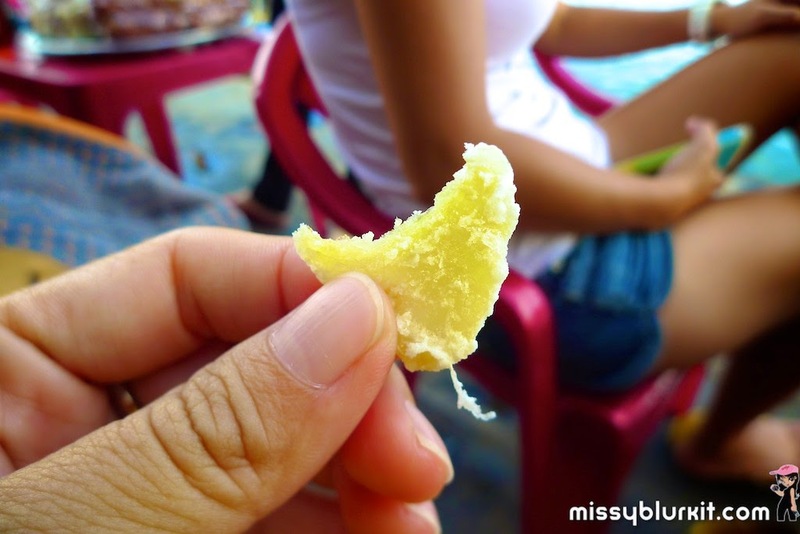 I did like the sugared ginger candies. However, its kinda expensive. A lil bag of approximately 100g was close to RM7. 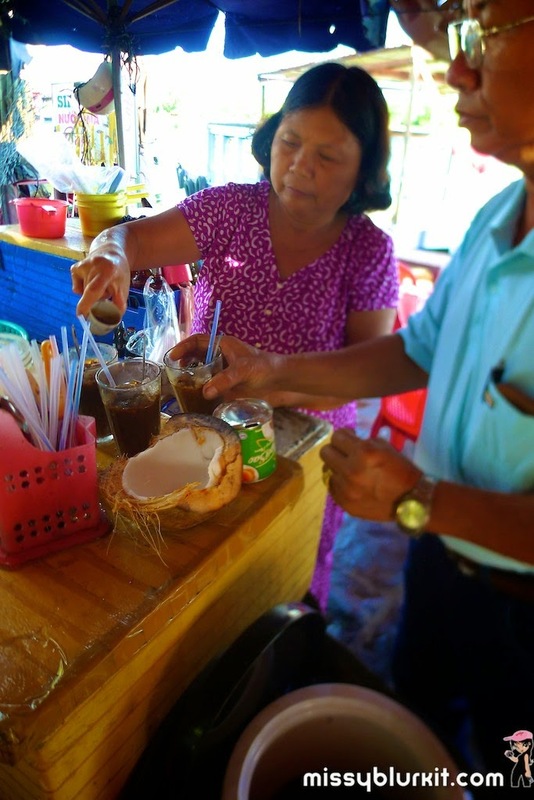 I do not know the name of the stall but hopefully the following information and pics will help you find this Best Coffee in Hoi An stall. 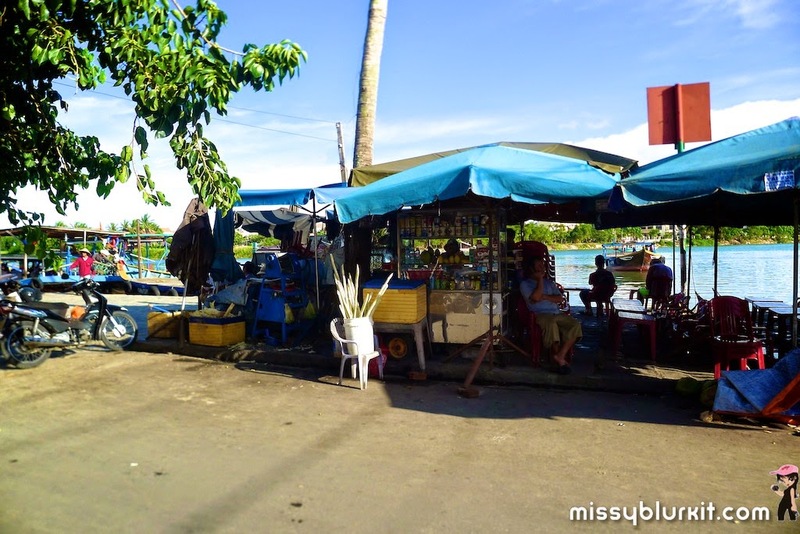 As you stroll around the Central Market in Hoi An, the stall is the first stall beside the river and its on your left. 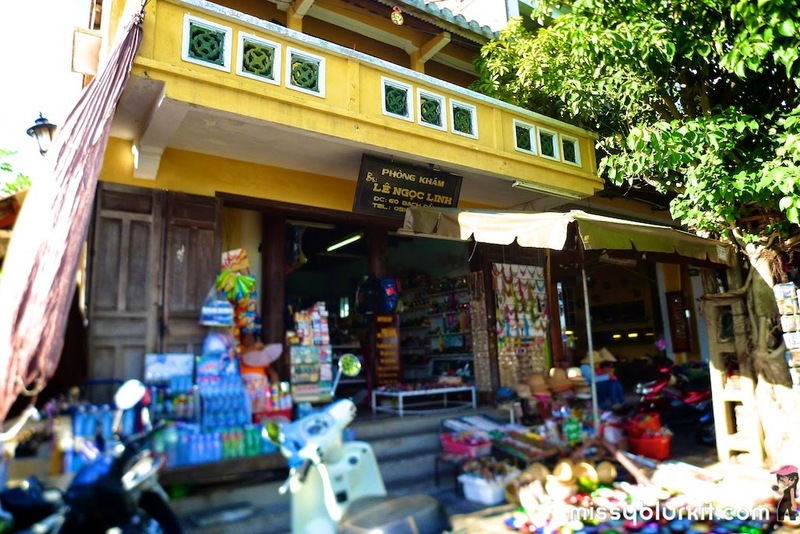 Its also along the Bach Dang street and opposite a vibrant yellow corner shop Phòng Khám Lê Ngọc Linh. A trip to Hoi An is merely 2:55 away from Kuala Lumpur via AirAsia that flies to Da Nang directly from Kuala Lumpur 4x a week. 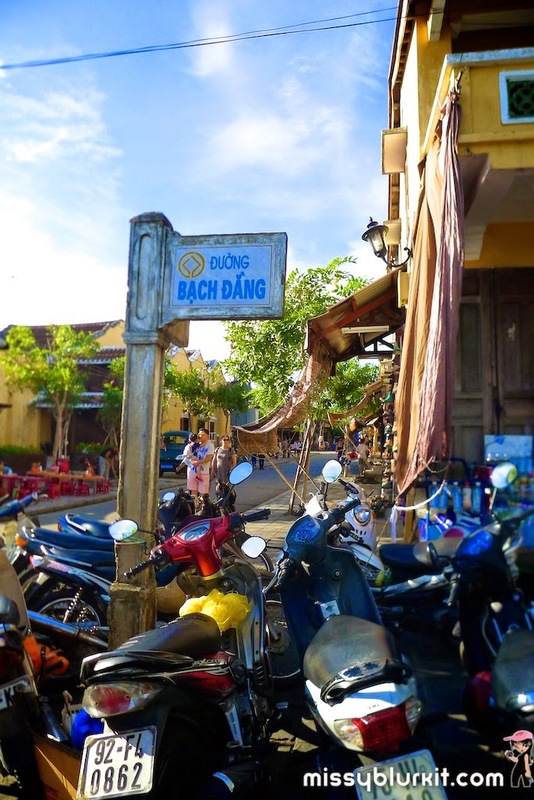 So plan your next holiday and check out Da Nang and Hoi An. There's more than just running around and coffee...so stay tuned for more posts! Christmas is 2 months away but its not too early to start planning for Christmas. Instead of buying ready made decors or even sending ecards, how about making something from scratch on your own? 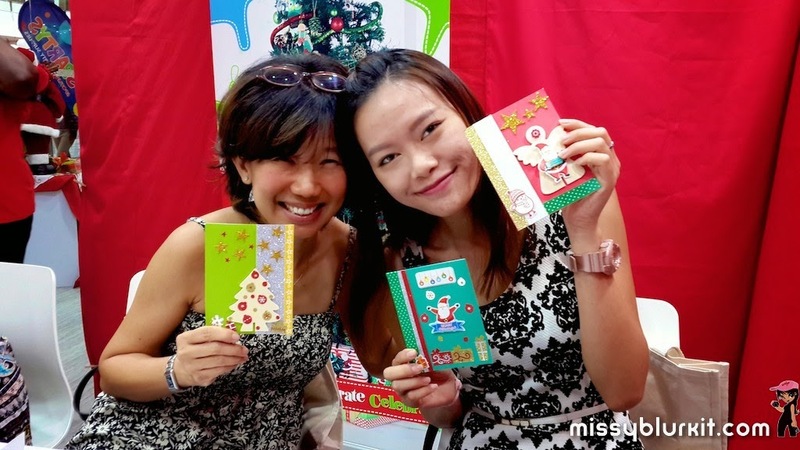 Joined some pals at Spotlight at Ampang park and picked up some Christmas inspirations. 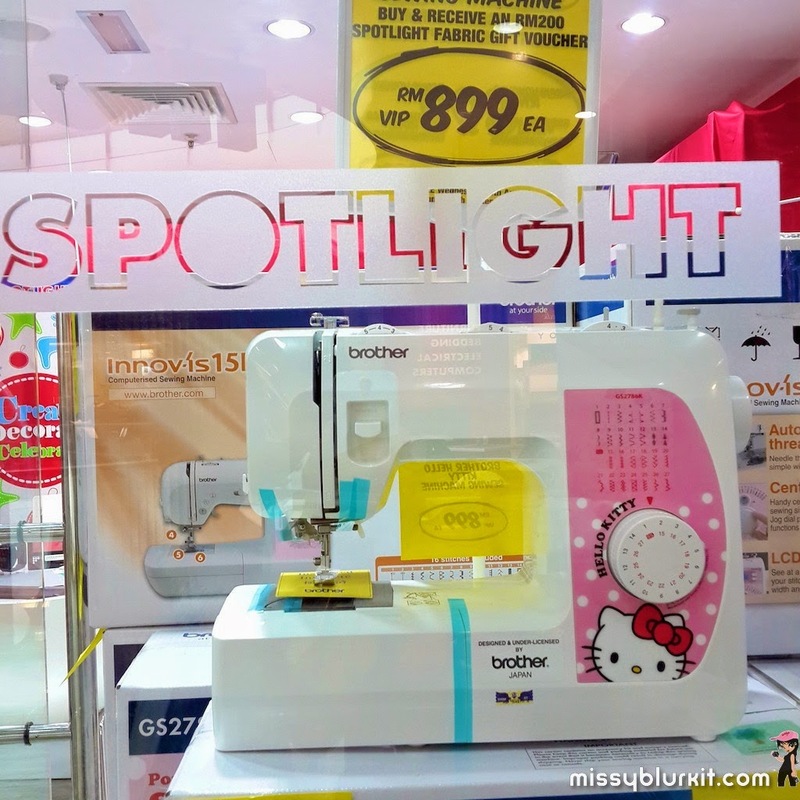 If you sew or would like to start sewing or are into Hello Kitty (like me), the the Brother sewing machine with Hello Kitty will be a good item to purchase. For starters, one can start sewing simple items like cushion covers or bags. Alternatively, this is also a good gift for Hello Kitty fans. 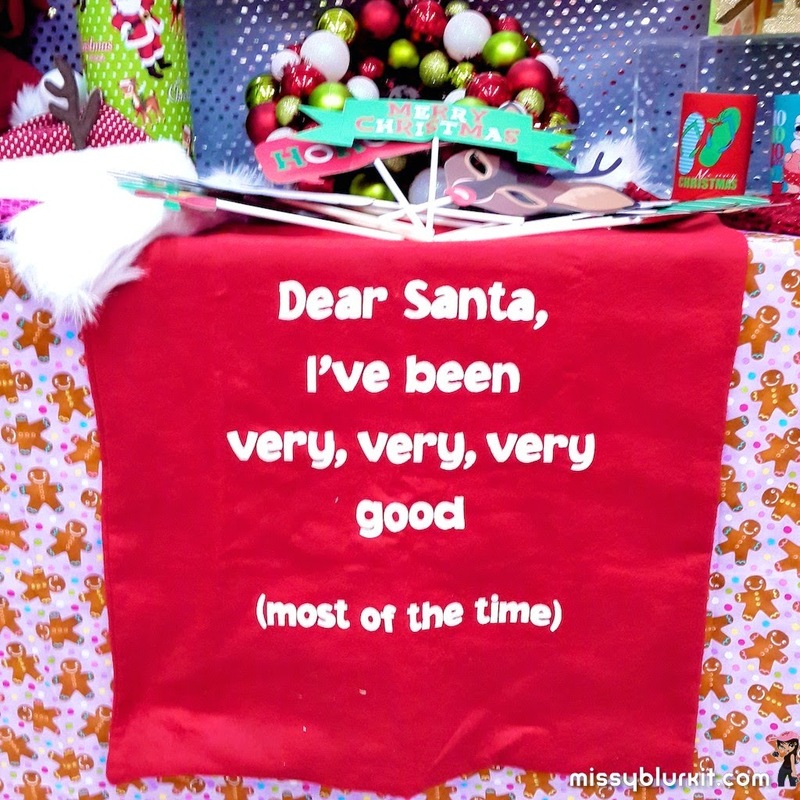 Hmmmm...I have been good...in fact very very very good this year...so can I please have a Brother Hello Kitty Sewing machine under my Christmas tree please? DIY doesn't have to be elaborate affairs unless you opt to be elaborate. Simple things that one can whip as gifts or even decors includes greeting cards, Christmas tree decor and even photo frames with a picture that one has snapped. Simple and pretty ribbons. 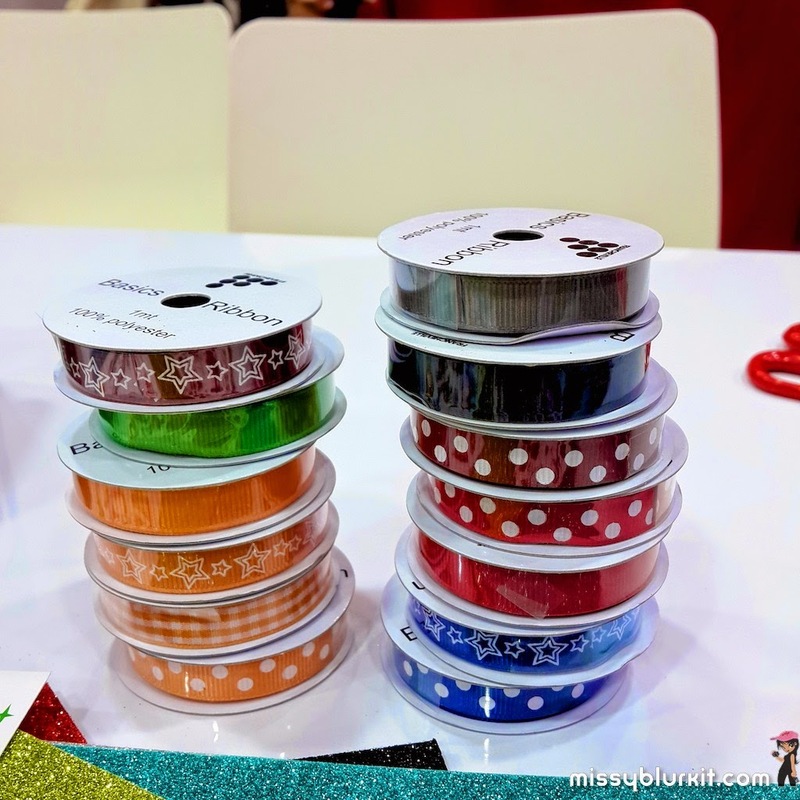 Grab a few designs and colours becaus ethey come in handy as decors or even for wrapping pressies. 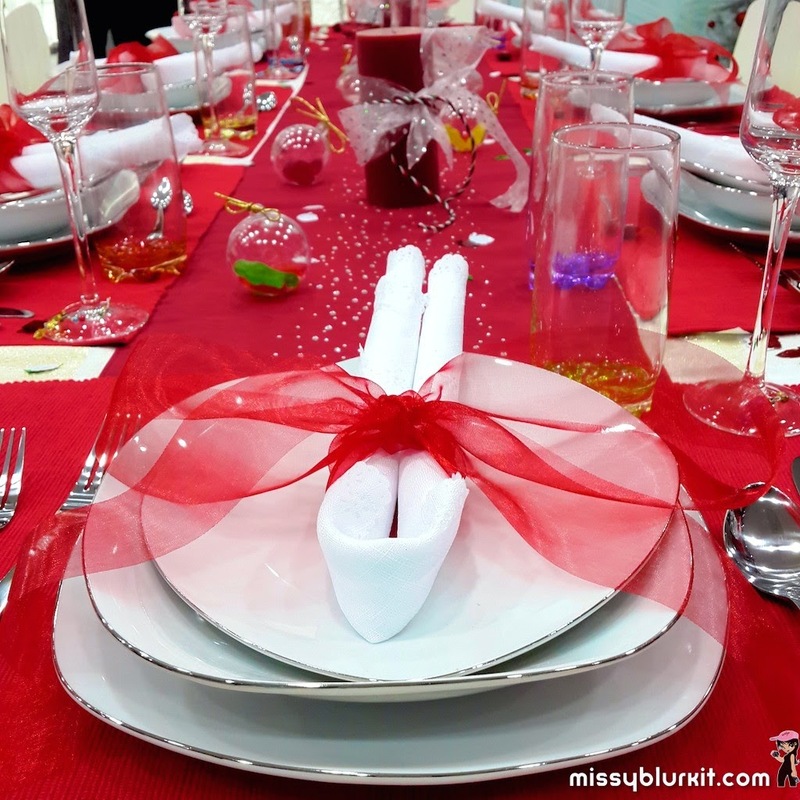 Ribbons can also make a stylish difference to your dining table set up this Christmas (or any other time of the year). For touch of warmth and festivity, add on candles and baubles to your set up. Let your imagination run wild while you pick up your items at Spotlight. 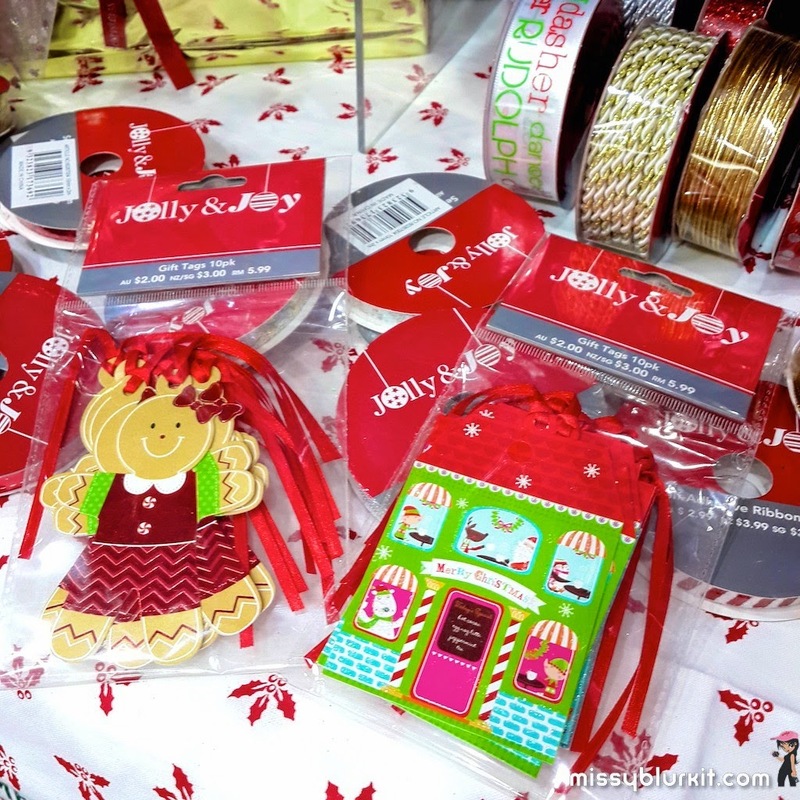 These pretty gift tags go along way than being mere present tags. They can be used as Christmas tree decors too. Alternatively, combine them on a line and you can hang them from the ceiling or even paste them against your glsss doors or windows. If you are a photobug like me, these pretty photo frames can be used to present your best shots of your pals. Alternatively, stock these up and slide in the picture taken of your guest from your Christmas party. 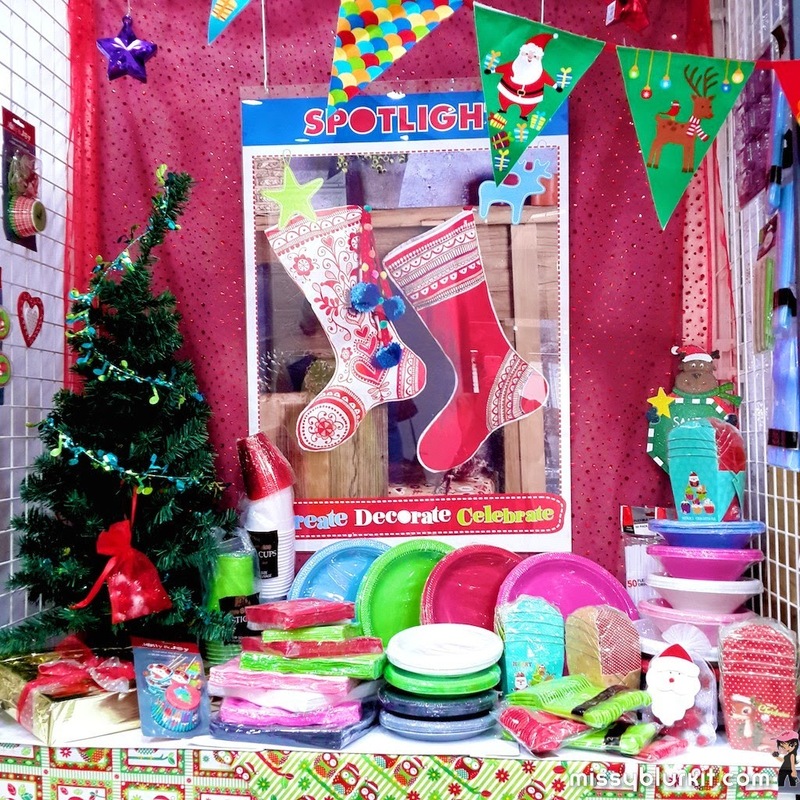 There's plenty of festive cutlery waiting for you at Spotlight. 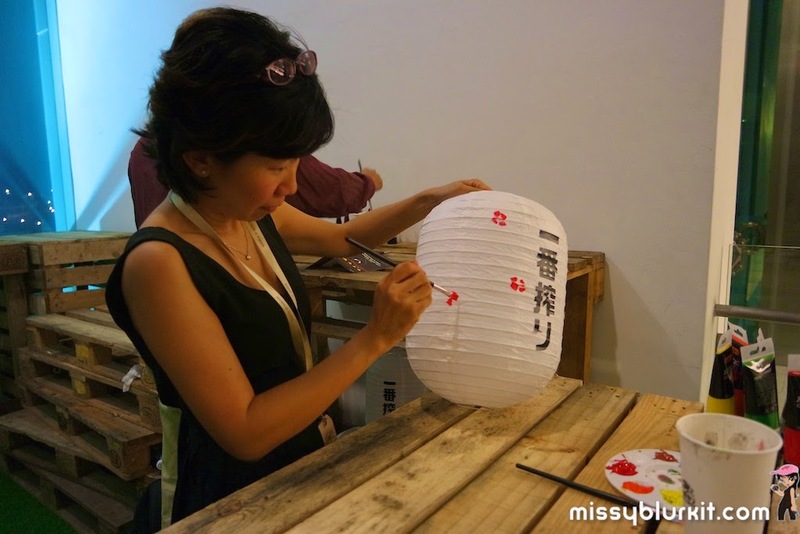 Check them out and if you shop carefully, some of the chosen wares can even come in handy for CNY! 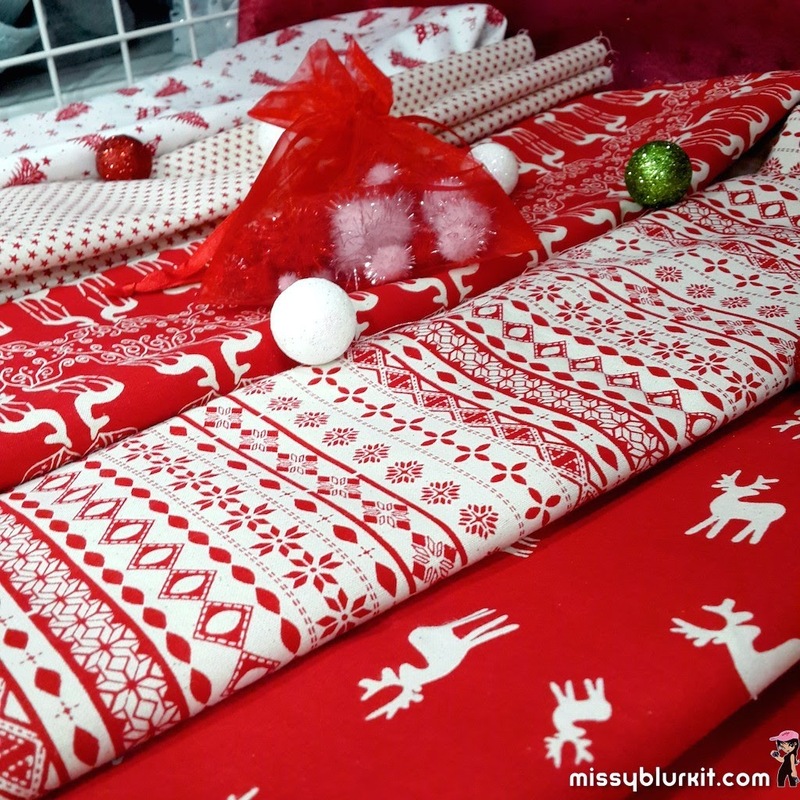 Festive fabrics. Sew them into cushion covers, handkerchiefs or even table cloth. 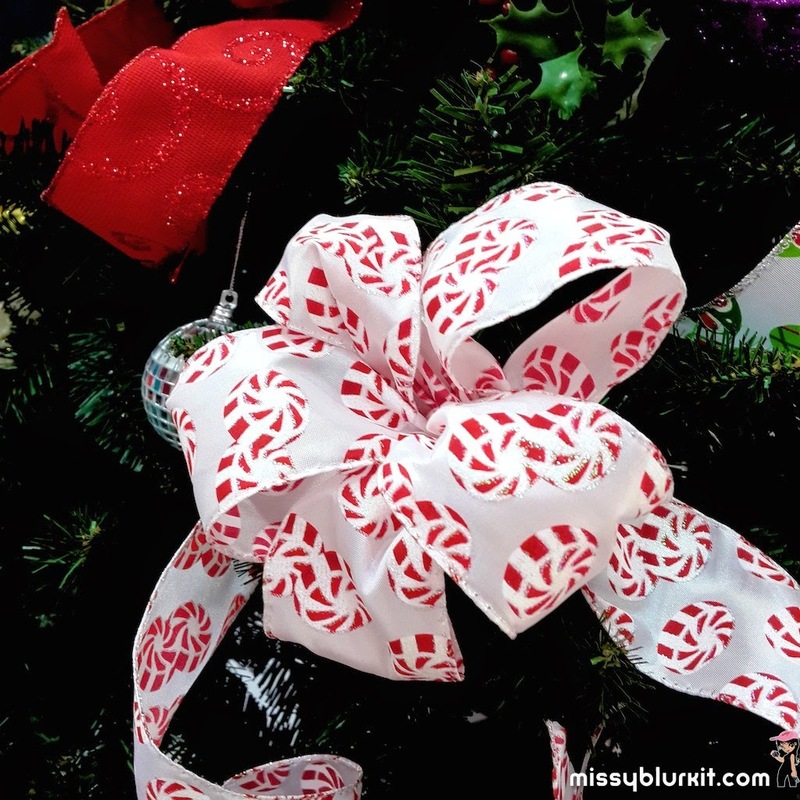 Ribbons make pretty decors for Christmas trees. If you are not sure how to tie it, you can always seek the help of the helpful assistants in Spotlight to teach you how to do it. Greeting cards! Make your own. All these materials are available at Spotlight. Just go ahead and play with your creativity. Its fun and quick. In fact, I took only 5 minutes to make this card.